Our luncheon will be held at the beautiful Spanish Hills Country Club in Camarillo on Saturday, May 5 from 12:30 to 2:30pm. One week before Mother’s Day, this is a perfect opportunity to honor your mom in a unique way. Plus, we feel this is a perfect theme for Gabriel’s House because most of the women we help at Gabriel’s House are mothers! Our mission is clear…no woman or child should ever have to spend one night on the streets. 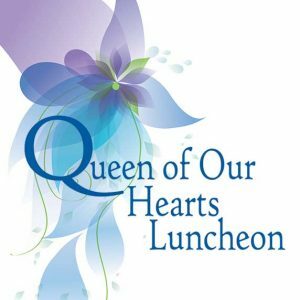 A highlight of the event will be an opportunity for you to honor or remember your mom in a very special way with our Honoring Heart ceremony! You will have the opportunity to personally inscribe your mother’s name on a beautiful Honoring Heart ornament, which you can personally place on our Honoring Heart live tree during the ceremony. This tree will then be planted at Gabriel’s House where our residents will see how much the community supports them in their journey. Guests will also enjoy a fabulous meal, shopping at our Mother’s Day themed silent auction and hear inspiring stories of how our residents were able to move from hopelessness to hope! We are also offering table sponsorships. Please click here to see all the benefits you will receive with sponsorship. If you have any questions, please feel free to contact event planner, Melinda Johansson, at (805) 451-3579 or melindaleejohansson@gmail.com. We look forward to seeing you on May 5! Please help us spread the word about this event. Thank you!